Pay it forward this Thanksgiving by burning up some calories BEFORE you feast. Beat the "Pie Guy" and take home a pie from Publix for Thanksgiving dinner. Long sleeved t-shirts will be available for pre-registrants only at the event. Visit here for more information and to register. All proceeds from the race will benefit the St. Francis House homeless shelter, St. Johns County's only privately funded homeless shelter. Admission: Registration is $30 per runner and $90 for a family of up to four runners. Ancient City Roadrunner members can sign up for $25. When: November 22, 2018. 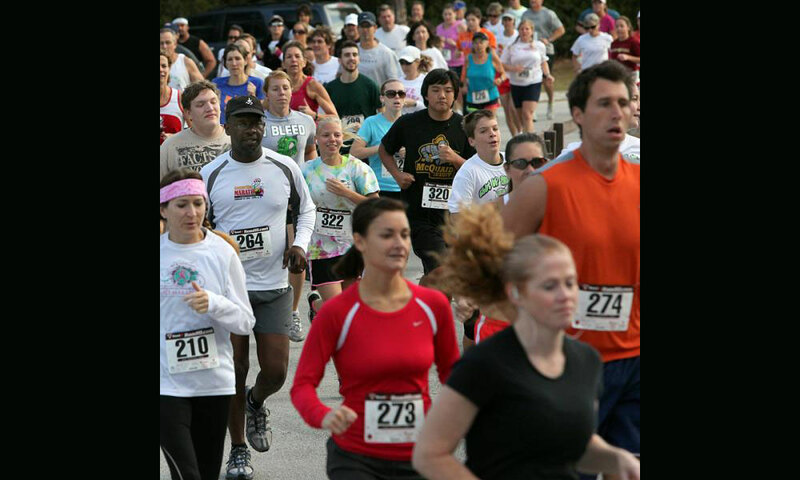 The race will begin at 8:00 a.m. Check-in for both pre-registered runners and those who still need to register the day of the event will open at 6:45 a.m.
Where: Treaty Park is located at 1595 Wildwood Drive St. Augustine, FL 32086.